High quality female seeds from World of Seeds. These cannabis seeds all come in 3's and 7's. 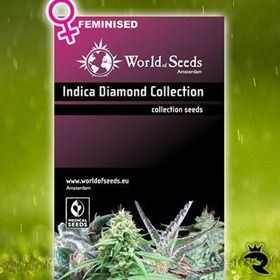 World of Seeds have the vastest collection of cannabis seeds, each and every strain is of very high quality, their most popular strain is the legend 'Afgan Kush Ryder', and the best thing is that World of Seeds never seem to run out of stock!